The Wattura Resort and Spa in Waikkala was designed to be the first family-friendly wellness retreat of its kind and opened its doors in December 2018. 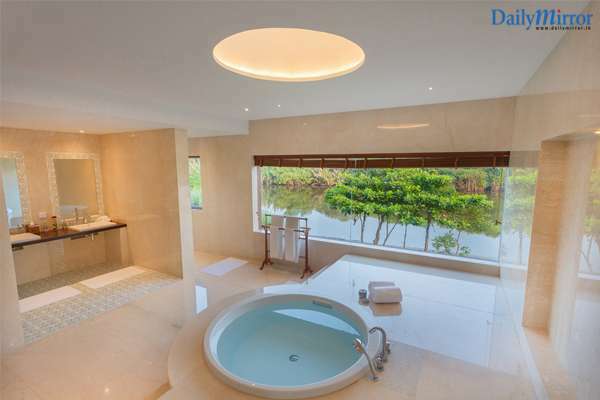 Surrounded by the Indian Ocean on one side and the Gin Oya River on another, the entire property rises out of the water and its unique architectural design concept signifies the name of the hotel and conveys an essence of freshness and tranquility. Fusing two unique elements of travel and wellness together, Wattura offers a full spectrum of wellness-based activities and services that the entire family can enjoy. Set up by the Casa De Hotels and resorts Group, based in the UAE and operates under its holding entity Nishat General Company LLC, the hotel, was a billion-rupee investment which was facilitated and supported by the Board of Investment. 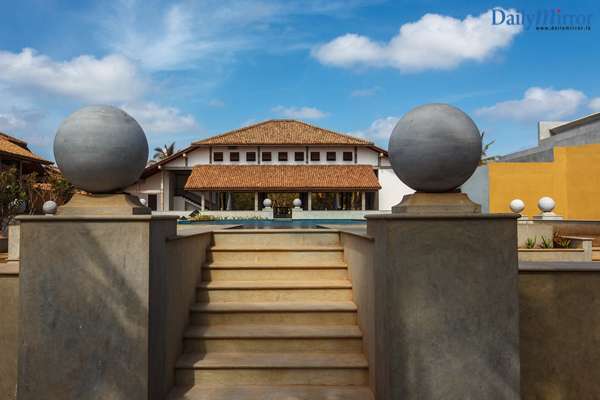 The resort is built 25km north of Negombo, and is strategically located to offer fantastic dolphin and whale watching opportunities as well as a host of experiential excursions that showcase the best of the island’s natural heritage. Designed to cater to discerning holiday-makers looking to enjoy an enhanced and all-round fusion of travel and wellness, Wattura takes the key elements of privacy, luxury and comfort to completely new heights. 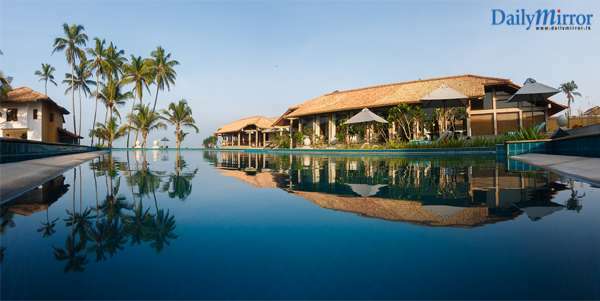 Housed within the expansive property are beachfront villas and classic suites built on the scenic banks of the Gin Oya. 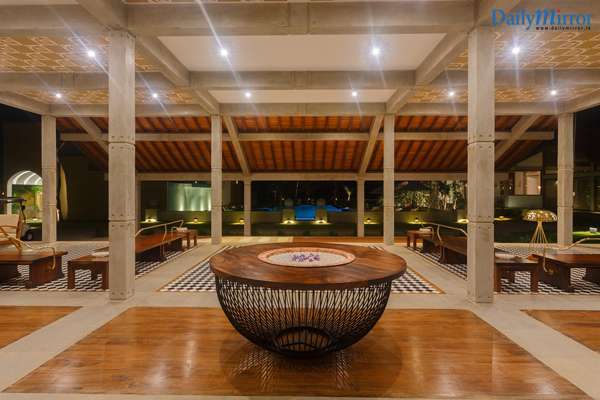 Incorporating colours, textures and design concepts inspired by local flora and fauna, the overall look and feel of the property pays homage to Sri Lanka’s rich biodiversity and cultural heritage. Led by a robust sustainable approach, Wattura also engages in a range of eco-friendly practices such as rigorous waste management, rainwater harvesting and recycling. A total of one and a half acres of the 10 acre resort has been dedicated for water slides, an indoor arcade, mini theatre, food court and toddler zone with professional nannies and care giving services available. Wattura prides itself on offering the finest local cuisine with an infusion of south Indian and Arabic flavored cooking techniques. Properties like Wattura support small-scale cottage industries, they invest in grooming local talent and they find countless ways to give back to society and support people who are impacted by their business. Whether it’s hiring a young school leaver and giving them the skills needed to work in the Food and Beverage sector, or whether it’s purchasing fresh vegetables from a local farmer, businesses like Wattura Resort which the BOI supports, are geared to truly uplift and empower the lives of everyday Sri Lankans. Wattura is yet another pioneering venture that has been set up with the assistance and backing of the Board of Investment which continuously strives to bring innovative business opportunities to the country. Maintaining its efforts to attract new and dynamic investors, the BOI is proud to support the growth and development of the wellness industry in Sri Lanka. The development of this high potential industry will have a ripple effect that will uplift communities, provide employment, support economic growth and change lives.